Rather than just count the number of burgers sold, I'm curious about something else: If, instead of selling 242 billion burgers about 3" diameter, MacDonald's sold just ONE burger, but 242 billion times as big, just how big would that one burger be? You should update this, i always dream of it hitting 1 trillion. No, that would mean they sold over 100 billion burgers in the last year, which is not reasonable. 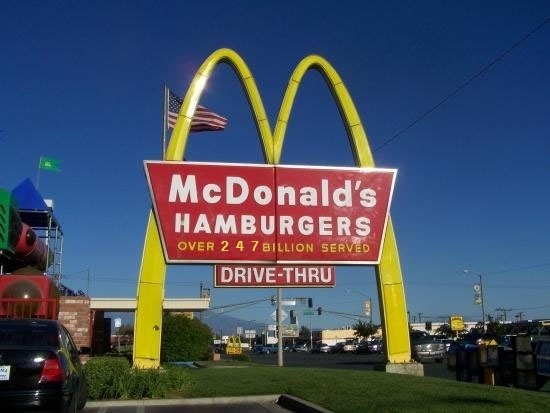 Maybe this is an urban myth, but didn't someone once attempt to sue McDonald's claiming that there was no way they could have sold the numbers of burgers claimed? I heard the case was tossed out of court. I searched a lot about the mcdonalds around the world and ‘ranker.com’ gave the best results of my efforts. But knowing about the McDonald’s Hamburgers issue was really strange to me throughout my search. No updates to the page since 2010? Might as well take the page down if you are not going to update it. . .